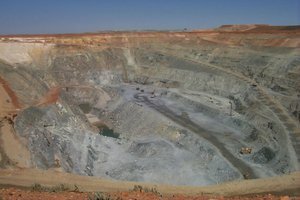 Mountkeithite: Mineral information, data and localities. Named by D.R. Hudson and M. Bussell after Mount Keith, Australia which includes the type locality. The mineral name was submitted to the IMA in 1977 and accepted in 1980 in a slightly modified form. Usually found as a white to pink coating in vughs in weathered serpentine. Friable aggregates and rosettes composed of soft flakes. Western Australian Museum, Perth, Australia, M72.1991. Low-temperature hydrothermal vein in a nickel deposit. Carrboydite (Ni1-xAlx)(SO4)x/2(OH)2 · nH2O Hex. Glaucocerinite (Zn1-xAlx)(OH)2(SO4)x/2 · nH2O Hex. Hydrohonessite (Ni1-xFe3+x)(OH)2(SO4)x/2 · nH2O Hex. Artinite 1 photo of Mountkeithite associated with Artinite on mindat.org. Serpentine Subgroup 1 photo of Mountkeithite associated with Serpentine Subgroup on mindat.org. soluble, with effervescence, in dilute HCl. 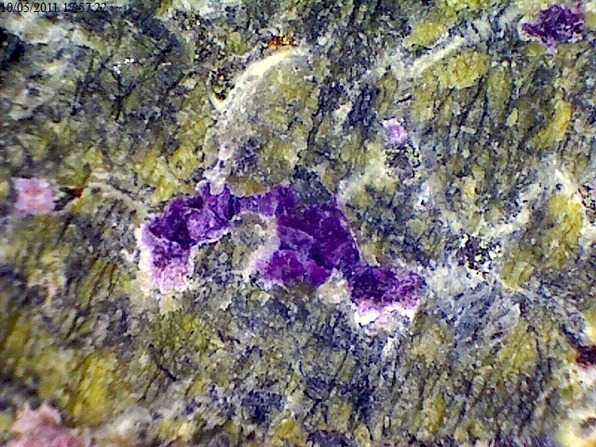 Hudson, D.R., Bussell, M. (1981) Mountkeithite, a New Pyroaurite-Related Mineral with an Expanded Interlayer Containing Exchangeable MgSO4. Mineralogical Magazine: 44: 345-350. Fleischer, M., Cabri, L.J., Chao, G.Y., Mandarino, J.A., Pabst, A. (1982) New mineral names. 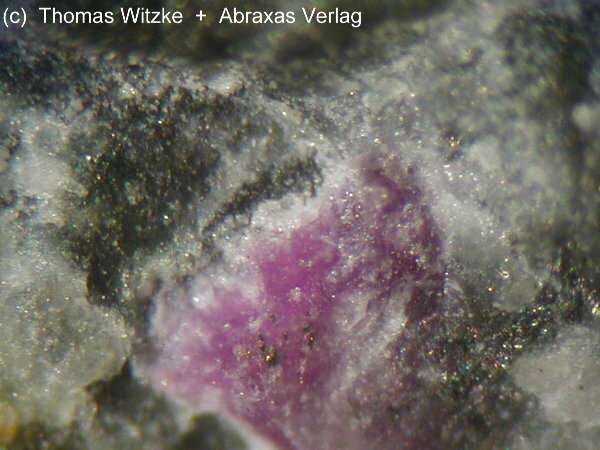 American Mineralogist: 67: 621-624. Frost, R.L., Weier, M.L., Kloprogge, J.T. 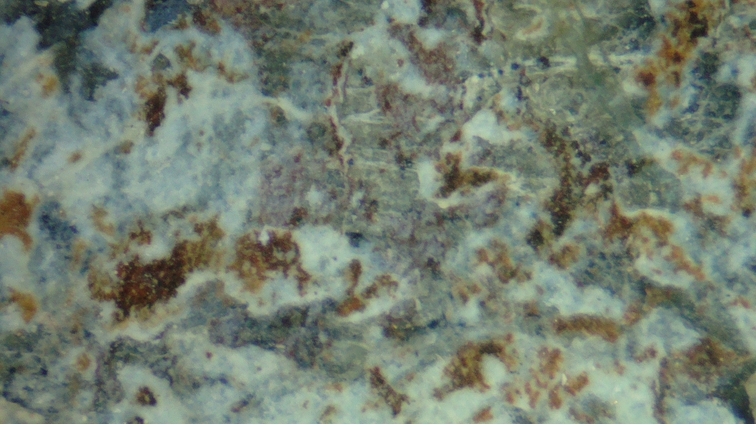 (2003) Raman spectroscopy of some natural hydrotalcites with sulphate and carbonate in the interlayer. Journal of Raman Spectroscopy: 34: 760-768. Mills, S.J., Christy, A.G., Genin, J.-M.R., Kameda, T., Colombo, F. (2012) Nomenclature of the hydrotalcite supergroup: natural layered double hydroxides. Mineralogical Magazine: 76: 1289-1336.